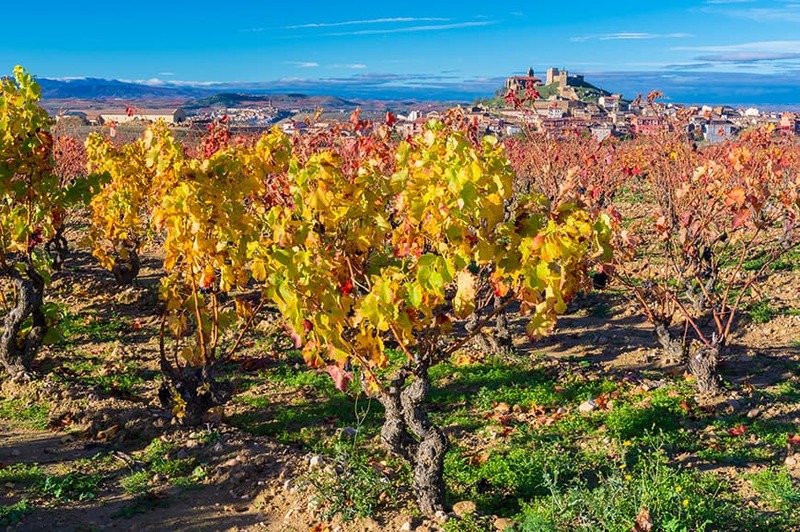 Ancient churches, Gaudi-designed architecture and Rioja vineyards. Discover all of this and more on a series of walks which take you to charming towns and cities located on the Pilgrim’s Road to Santiago de Compostela in north-west Spain. Join your fellow travellers at your hotel. El Camino de Santiago was the most important religious and cultural route in Europe in the Middles Ages. During this tour, we’ll follow parts of its path, taken by pilgrims heading to Santiago de Compostela, also known as the Way of St James. We’ll even receive a Pilgrim Route Passport, which will be stamped en route. Today we’ll head to medieval Puente La Reina, the meeting point of the Jaca Pilgrim Road and the French Way. We’ll pause to admire the 12th-century church of Santa María de Eunate before beginning our walk along the Camino de Santiago. We’ll pass through vineyards and charming villages until we reach the village of Lorca, where lunch is included. Our walk then takes us via the Monastery of Irache to the La Rioja wine region, before heading to Haro. Later we will head to a winery for a visit and to sample Spain’s most famous wine. Our first stop today is at Navarrete, a town built in the 12th century by the Knights of the Holy Sepulchre, which offers wonderful views of the surrounding countryside. Our walk today takes us through more vineyards of La Rioja, from the royal town of Nájera, divided by the River Najerilla. We’ll continue by road to Santo Domingo de la Calzada, an important stopping point for pilgrims. On arrival in Burgos, where we stay tonight, you can join an optional guided tour. Highlights include its cathedral, which is a masterpiece of Spanish Gothic architecture. After breakfast, we’ll embark on today’s walk, which takes us to the Campos de Castilla area, known as the ‘breadbasket’ of Spain due to its cereal production. The canal we’ll follow was built for transportation of this commodity and a highlight will be its locks, which allow for a 14-metre drop in terrain. In the town of Frómista we’ll have free time for lunch and the chance to admire the Church of San Martín, a Romanesque architectural gem. This evening we’ll stay in León, where an optional tour will introduce us to its impressive cathedral and the Casa de los Botines, designed by the famous architect Antoni Gaudi. 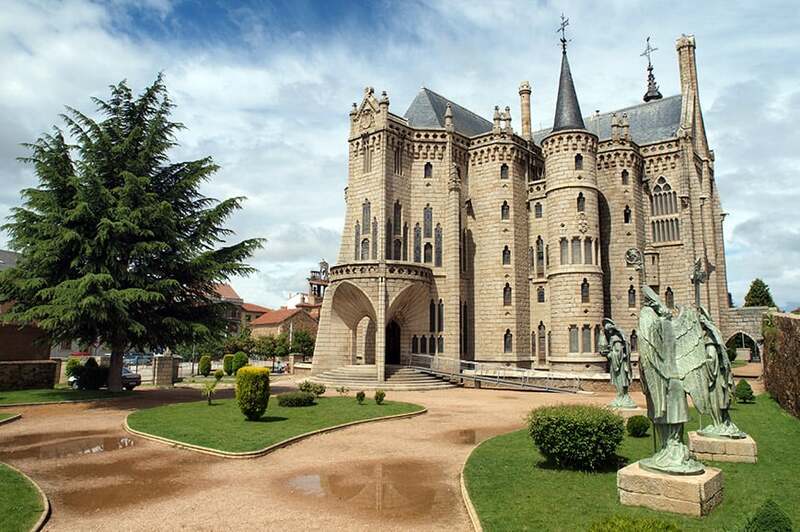 Today we reach the town of Astorga, where we’ll admire its cathedral and Bishop’s Palace, another design by Gaudi, before passing the traditional village of Castrillo de los Polvazares with its stone-built houses. Our walk takes us to northern Spain’s highlands, where we’ll stop at la Cruz de Fierro, where pilgrims would leave behind a stone or memento – a symbol of casting aside a burden. After a traditional lunch in the pretty village of Molinaseca we’ll drive to Ponferrada, where we stay tonight. Highlights of our tour here are the Knights Templar Castle and Basilica de Nuestra Senora de la Encina. We’ll reach our goal of Santiago de Compostela today. First, we’ll make a stop at the Celtic town of O Cebreiro. One of the most picturesque villages on the Way of St James, we’ll pause to admire its pre-Romanesque church and round stone houses. There’s time for lunch in the riverside town of Portomarín – whose historic buildings were rescued stone by stone when it flooded and moved to allow for a dam to be built on the Miño River. We’ll then drive to Monte de Gozo, or the Mount of Joy, which is the first point at which pilgrims can view Santiago de Compostela after their long journey. Our final walk takes us into Plaza del Obradoiro, in the centre of the city . This morning we’ll head to Fisterra, a historic fishing port where pilgrims would bathe in the sea to purify their souls and collect a scallop shell – the symbol of pilgrims. 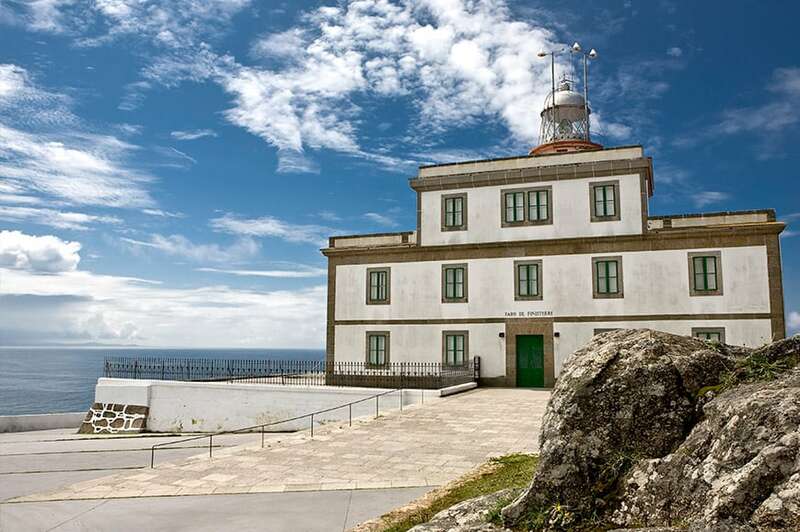 On a short stroll around the lighthouse here, see if you can collect a shell to take home as a wonderful souvenir of your trip. This afternoon why not join our optional guided tour of Santiago de Compostela, the capital of Galicia, with its porticoed streets lined by granite architecture. We’ll also visit the local market and we will have the opportunity to attend the pilgrim’s mass, when if we are lucky, we may see the “botafumeiro” a giant incense burner, as it swings through the entire length of the famous cathedral. This evening we will gather as a group and head to a traditional Galician restaurant for a farewell dinner. Today we’ll visit the small fishing village of Combarro, where time has seemingly stood still. Located on the northern shore of the Pontevedra estuary, its granite-paved streets date back to the 17th century and are lined by traditional Galician-style houses and artisan shops. After time for lunch, your Just You vacation comes to an end.